When songstress Gia Margaret began making music 6 years ago, SoundCloud was the only channel for the world to access her self-recorded folk tunes. She made and uploaded her tracks as a means to cope with the usual anxieties of life and relationships, maintaining her SoundCloud page as the musical equivalent to a well-worn, coffee-stained diary. Things changed last year, when Gia launched a Kickstarter campaign to help fund the production and release of her full-length debut, There’s Always Glimmer, which went on to garner critical acclaim and establish her name in the eyes of the wider public. 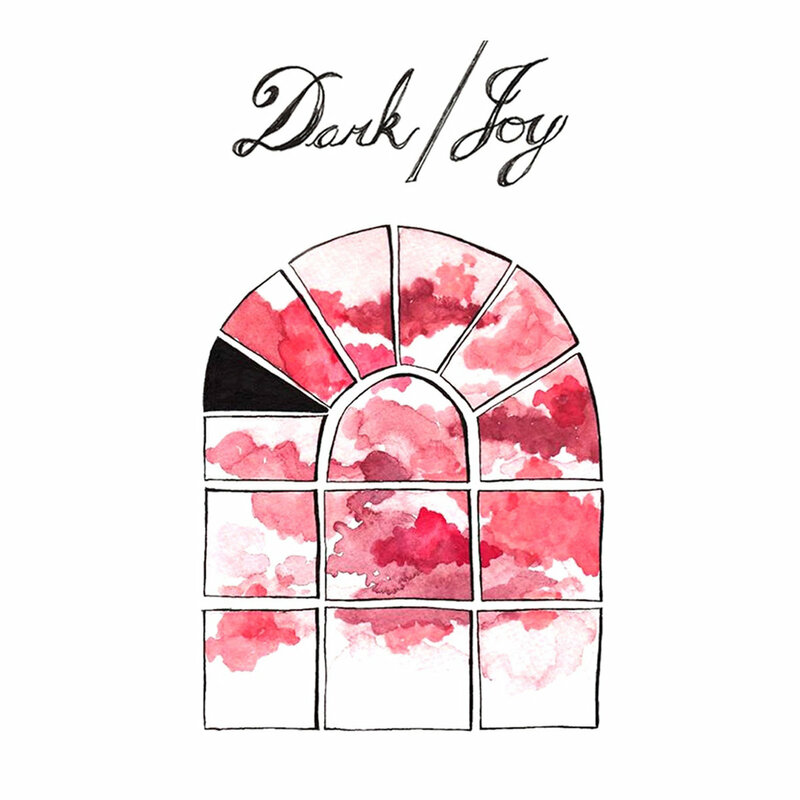 Today, we look at her 5-track EP Dark/Joy from 2014 – a stepping stone between Gia’s past and present. Gia often refers to her music as “sleep rock”, a term that perfectly captures the serene, meditative aura of the tracks on Dark/Joy. Subtle whisks of ambient electronica mark Gia’s songs while her wispy, multi-tracked vocals spin hushed melodies that often remind of the work of Nick Drake. Her confessional storytelling, meanwhile, takes the forefront. On the adorable 12-21-12, she recalls a conversation with her lover about the end of the world which closes with the conclusion: “It doesn’t matter how much time we have/ As long as you’re around/ As long as you’re here when the world ends.” On Celica, on the other hand, she reminisces about the intimate experiences she’s shared with her lover in his Toyota Celica. Gia’s songs celebrate nostalgia and the fact that there’s no way to go back in time other than through revisiting emotional experiences. As she asserts “Meet me in the front of my house at noon, call your job tell them to get screwed/ Because money collects, time does not” on the opener All We’ve Got, she succinctly puts across her message: the only way to conquer time is to create memories.